. . . One coat at a time. 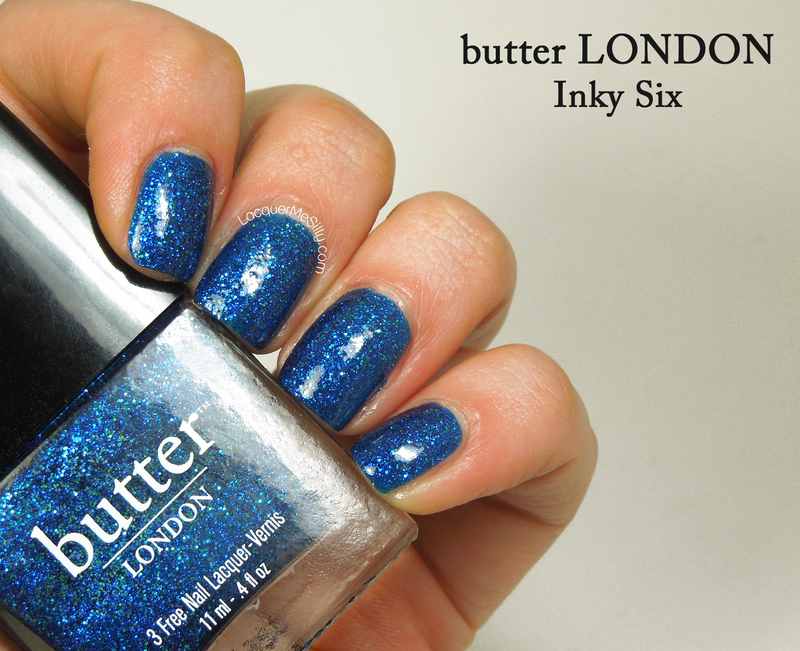 Inky Six is a dark blue jelly base packed with dark blue and green micro glitter. Application was awesome with full coverage in two easy coats. I could have almost, ALMOST, gotten away with one coat…but not quite. It dried a bit dull and a tad rough so I applied one coat of Gelous and an additional coat of Out the Door top coat. 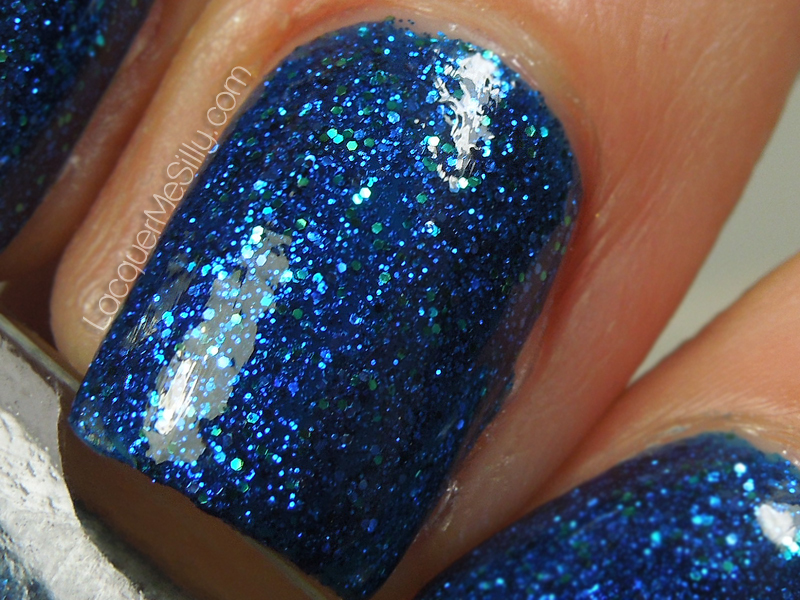 As much as I do love love love this polish it chipped very quickly…as in the first day. I’ve had this issue with all of my butter LONDONs so I was expecting it. However its still disappointing. 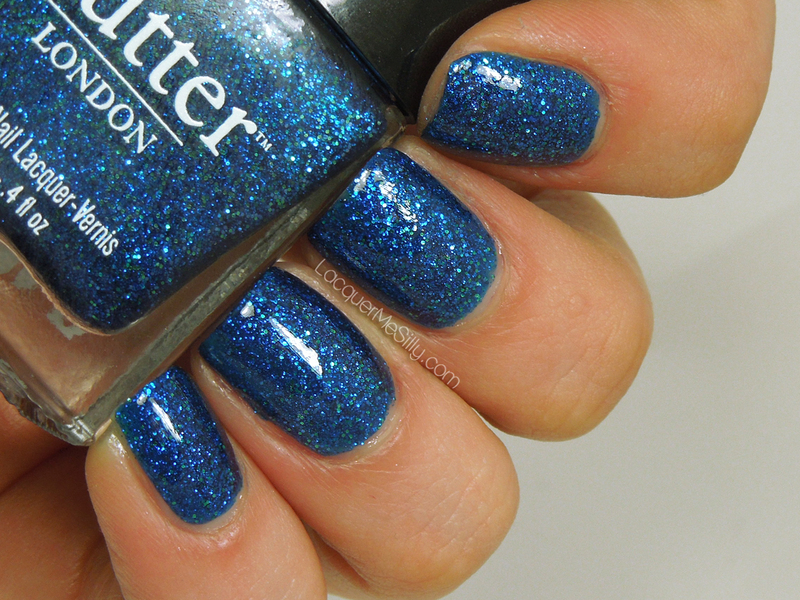 Does anyone else have issues with the wear time of butter LONDON or is it just me? *The products featured in this post were provided for review, all opinions remain honest and my own.